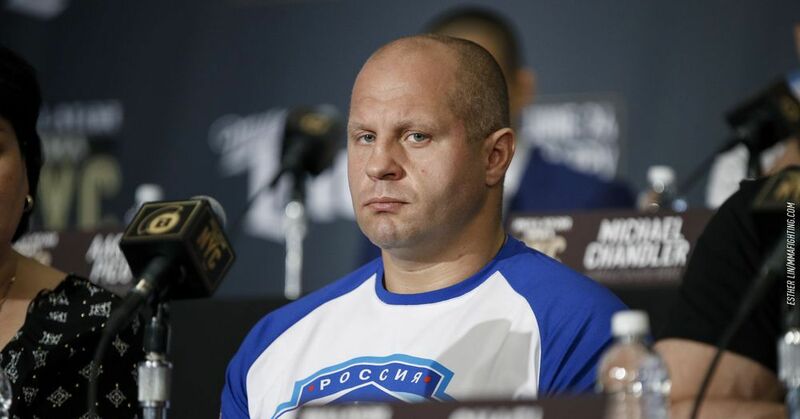 At 42 years, Fedor Emelianenko continues to compete at the highest level. But as he moves forward in his career, "The Last Emperor" also admits that a certain retirement can take place sooner than later. "To tell the truth, aged I am now more and more thinking about retirement," Emelianenko said Wednesday through an interpreter at Bellator 214 open training programs at Viacom's Hollywood headquarters (via MMA Fighting). "I can't answer this question at the moment," he said when asked about his retirement date. "But I'm willing to rest and then decide." Fedor got out of retirement in 2015 at the age of 39 and pick up two victories before being knocked out by Matt Mitrione in 2017. According to him, these are thoughts of retirement because of his age, more than anything else. "It's not because I don't want to fight. It's definitely because of the age you know and the damage I have." Having jumped back from his loss with two straight TKO wins over Frank, respectively. Mir and Chael Sonnen, Fedor is slated to meet Ryan Bader in the Bellator heavyweight tournament final at Bellator 214 this Saturday, January 26, th on the Inglewood, CA forum.